2002. Acrylic on stretched canvas. 18"x24". 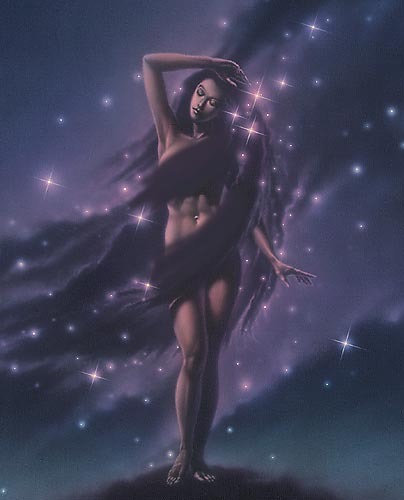 In the lore of many ancient and primitive cultures, goddesses and women were often associated with creation myths. This depiction of the human figure is not meant to be exploitive. However, since many children use the science portions of my website to supplement school reports, it has been edited. Publishers who wish to license this image may contact me for the opportunity to view it in its entirety.